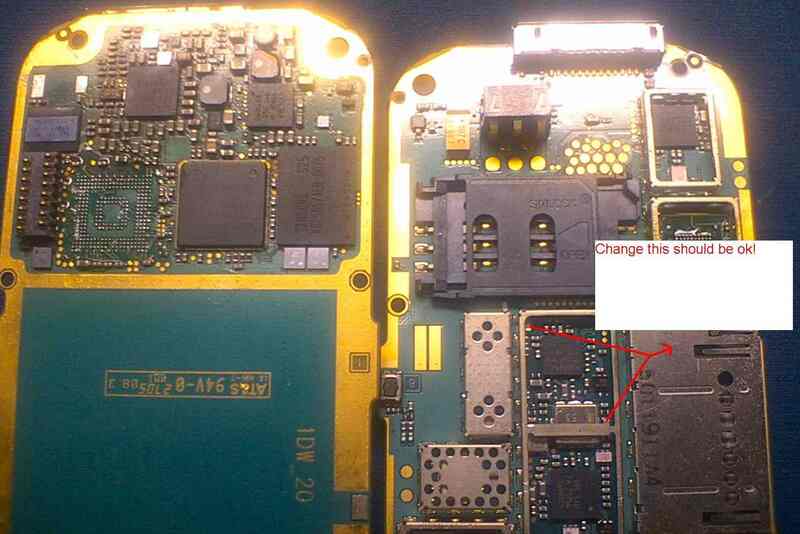 No network problem on Nokia phones, including Nokia 6680, usually caused because there are interferences on RF processor or Power Amplifier circuit. If the phone can't detect the network list when the network option mode switched to manual, the problem might be occur on RF processor circuit, but if the phone can detect the network list, the problem might be occur on Power Amplifier circuit. Here, mobile repair guide provide some pictures relating to Nokia 6680 no network problem. The pictures show you how to make jumper on switch antenna and also show you the parts that need your attention.